Bazaar Presents at Kirk Avenue Musical Hall & more!!! Wednesday (4/27) the Bazaar presents something Kirk Avenue Music Hall has never quite experienced before! San Francisco one-man/robot band Captured By Robots comes to Kirk Avenue with support from local favorites, the Bastards of Fate and Illbotz. The second in a series of the Bazaar presents this is sure to be one hell of a show! Come and witness a milestone of shock and awe on Wednesday night! This show starts at 8pm and costs $7 for three great bands. Also on Friday the 29th the Bastards will venture to Blacksburg to play Gillie’s with Janus 4-14. That show starts at 8pm and is free for all! 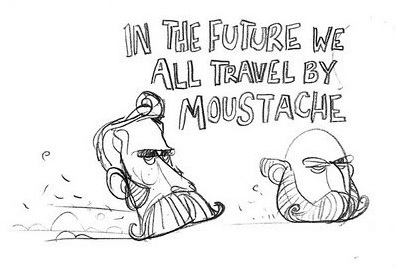 On Saturday (4/30) in Blacksburg local venue the Tub will host the Bash of Mustache. Rumored to play (but not yet formally announced) are Maya Renfro and Hoop Dreams (ex members of Wild Nothing). Starting at noon and running all day, mustaches are encouraged. 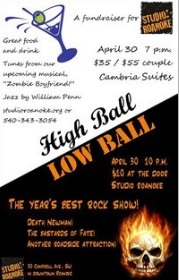 Continuing on to the second of Saturday’s events is Studio Roanoke fundraiser “High Ball/Low Ball”. Starting at 7pm in the Cambria Suite there will be food, drinks, jazz by William Penn and readings from excerpts of “Zombie Boyfriend”. $35 for single and $55 for double. Later on that evening at Studio Roanoke there will be live music from four great Roanoke bands. 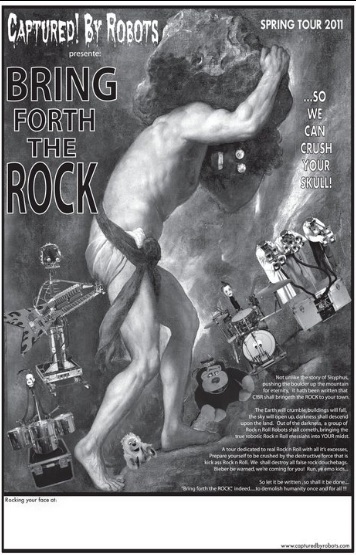 On the bill are Death Newman, the Situationist, Another Roadside Attraction and the Bastards of Fate. The show alone is $10 (and well worth it)! The show itself starts at 10pm. Rounding out Saturday’s events is Troutville-based band Dog Day South at the Bazaar. 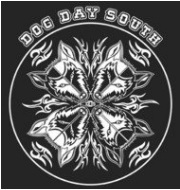 Dog Day South is a blend of blues, jam band and southern rock. Starting at 9pm and only costing you $5 you should make it a point to head out to this show! Rounding our list of events for the week is the Workers Solidarity Rally at the Martin Luther King bridge on Sunday. Below is a description of the event from the organizer’s Facebook page…. THE DAY WILL COME WHEN OUR SILENCE WILL BE MORE POWERFUL THAN THE VOICES YOU ARE THROTTLING TODAY. Truly, history has a lot to teach us about the roots of our radicalism. When we remember that people were shot so we could have the 8-hour day; if we acknowledge that homes with families in them were burned to the ground so we could have Saturday as part of the weekend; when we recal…l 8-year old victims of industrial accidents who marched in the streets protesting working conditions and child labor only to be beat down by the police and company thugs, we understand that our current condition cannot be taken for granted – people fought for the rights and dignities we enjoy today, and there is still a lot more to fight for. The sacrifices of so many people can not be forgotten or we’ll end up fighting for those same gains all over again. This is why we celebrate May Day. On May 1, 1886, more than 300,000 workers in 13,000 businesses across the United States walked off their jobs in the first May Day labor celebration in history. In Chicago, the epicenter for the 8-hour day agitators, 40,000 went out on strike with the anarchists in the forefront of the public’s eye. With their fiery speeches and revolutionary ideology of direct action, anarchists and anarchism became respected and embraced by the working people and despised by the capitalists. We hope everyone has a great week! Get out and do something amazing in the sun! This entry was posted in Art, Music, Theatre and tagged Another Roadside Attraction, Bazaar Consignments, Captured By Robots, Death Newman, Dog Day South, Greenhouse Boardshop, Illbotz, Kirk Avenue Music Hall, Martin Luther King bridge, Maya Renfro, Studio Roanoke, the Bash of Mustache, The Bastards of Fate, The Situationist, the Tub, Workers Solidarity Rally. Bookmark the permalink.